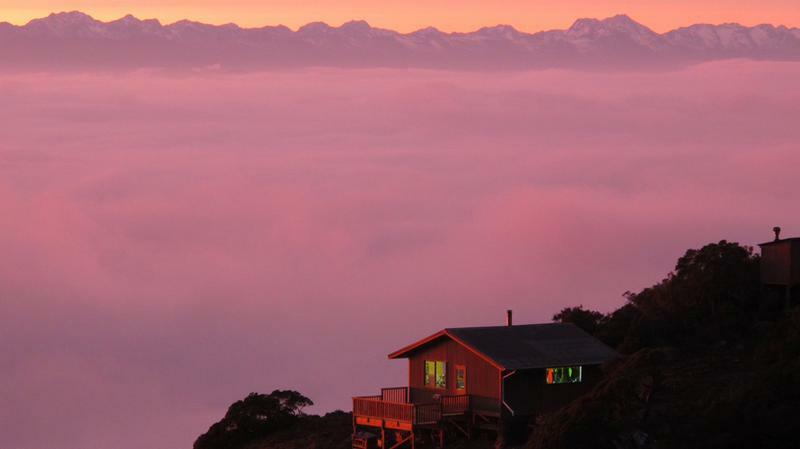 Book one night only at Lyell Saddle or Specimen Point. For single night return trips only. This option is not intended for those traversing more/all of the trail. If you wish to book a return trip to a hut not included on this screen, you will need to book the 'Through user' option. 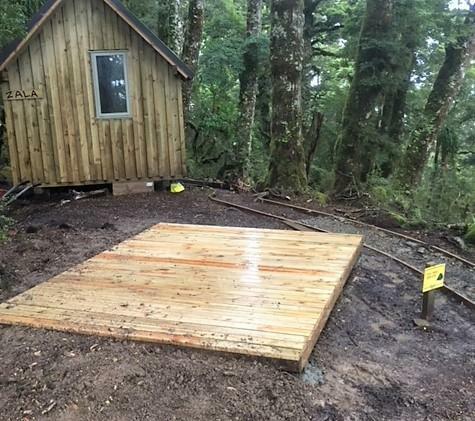 Located 18km from The Old Ghost Road’s southern trail head, the Lyell Saddle Hut was the first constructed by Mokihinui-Lyell Backcountry Trust volunteers in April 2011. 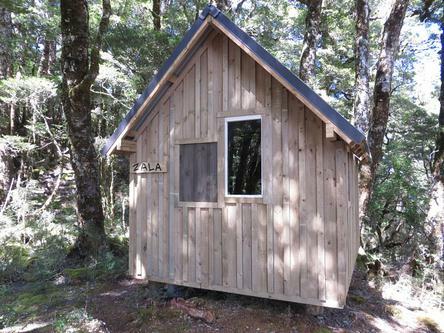 The hut looks directly into the headwaters of the Mokihinui South Branch and across to the Glasgow Range. 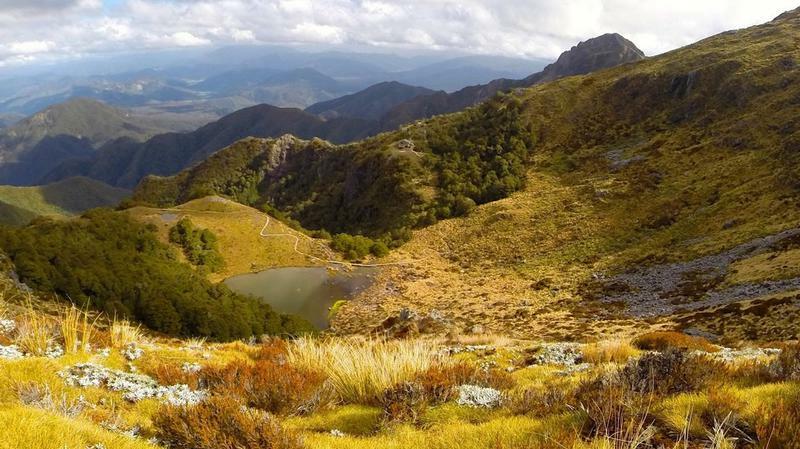 It is surrounded by a mixture of beech and cloud forest, and can equally be swathed in mist or bathed in sun. 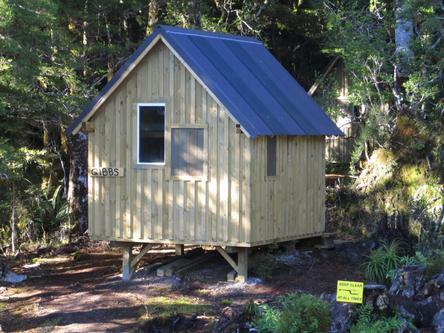 For users completing an overnight trip to one of the first huts at either end of the trail and returning the same way. 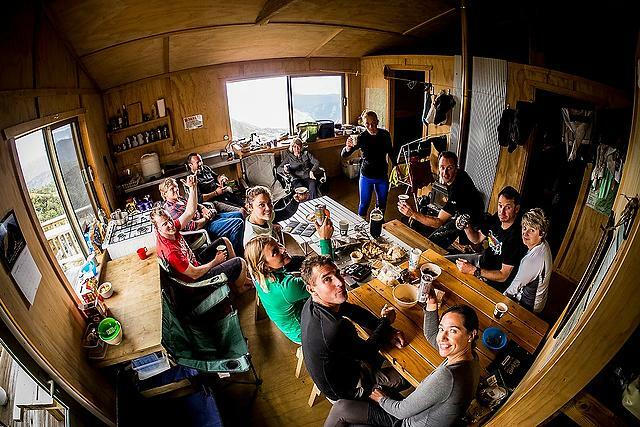 A rain-fed water supply (off the hut roof), internal sink, cutlery, crockery, cooking pots, gas cook tops, a frying pan, kettle and a coffee plunger, communal living area, wood stove, outside composting toilet, bike storage and a bike repair station. 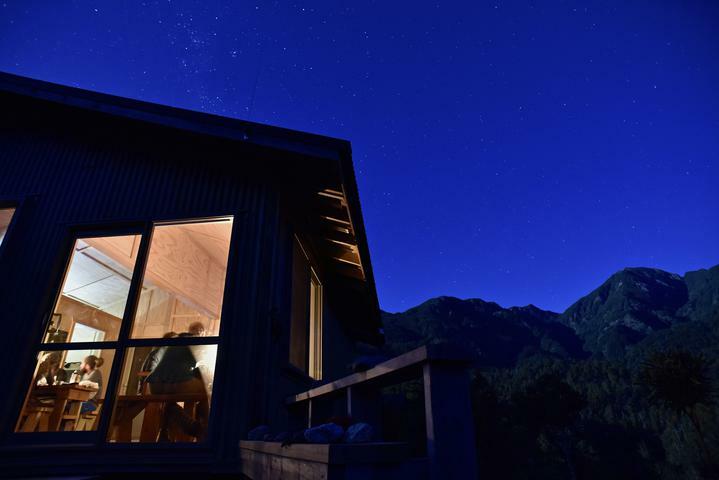 Enjoy your own private sleepout at Lyell Saddle. Sleepouts accommodate up to four persons. For users completing an overnight trip to one of the first huts at either end of the trail and returning the same way. Sleepouts contain two double mattresses. They do not have their own heat sources and do not include any cooking facilities, but users can use the communal facilities in the main hut. Main hut facilities include: A rain-fed water supply (off the hut roof), internal sink, cutlery, crockery, cooking pots, gas cook tops, a frying pan, kettle and a coffee plunger, communal living area, wood stove, outside composting toilet, bike storage and a bike repair station. Tent Site for up to 2 people at Lyell Saddle. 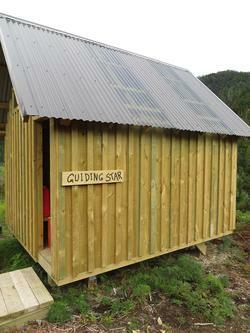 For users completing an overnight trip to one of the first huts at either end of the trail and returning the same way. A tent site for up to two people - excludes use of facilities in main communal hut. 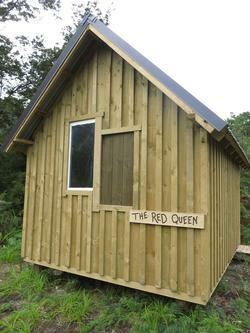 Facilities include an outside basin area and composting toilet. Users are expected to be entirely self sufficient for cooking (bring your own cookers, pots and cutlery). 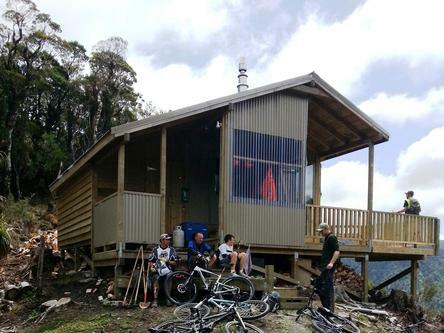 Located 17km from The Old Ghost Road’s northern trail head, Specimen Point Hut was the fourth and last hut constructed by Mokihinui-Lyell Backcountry Trust volunteers in April 2012. 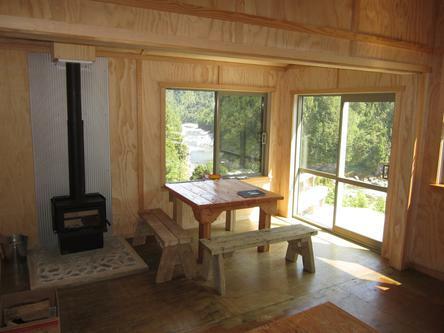 The hut, which overlooks Specimen Creek at the confluence with the Mokihinui River. 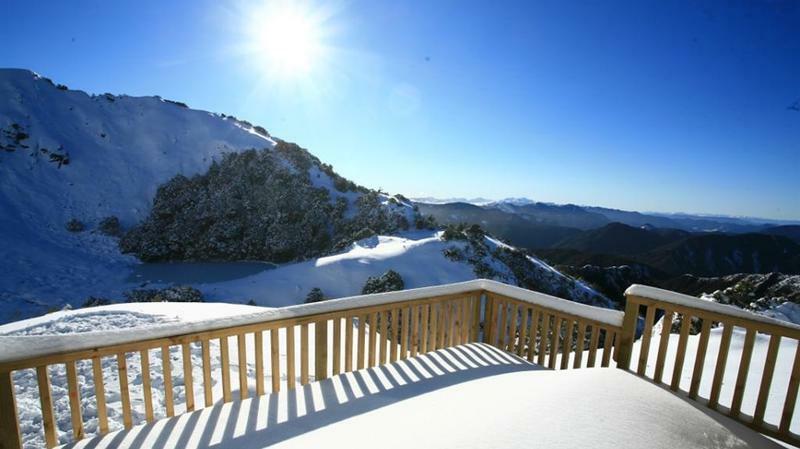 It is on the edge of beech forest and at the foot of the Glasgow Range. 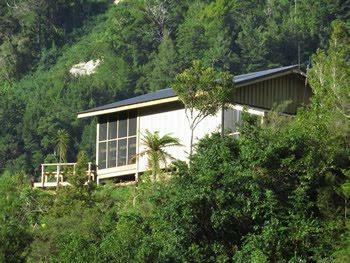 It is an ideal overnight location for users seeking a moderate tramp or walk up the Mokihinui Gorge, or a base for further explorations of the gorge and Mokihinui South Branch. Rafters often put in near Specimen Creek, making the hut a destination for such groups. Enjoy your own private sleepout at Specimen Point. Sleepouts accommodate up to four persons. Tent Site for up to 2 people at Specimen Point. 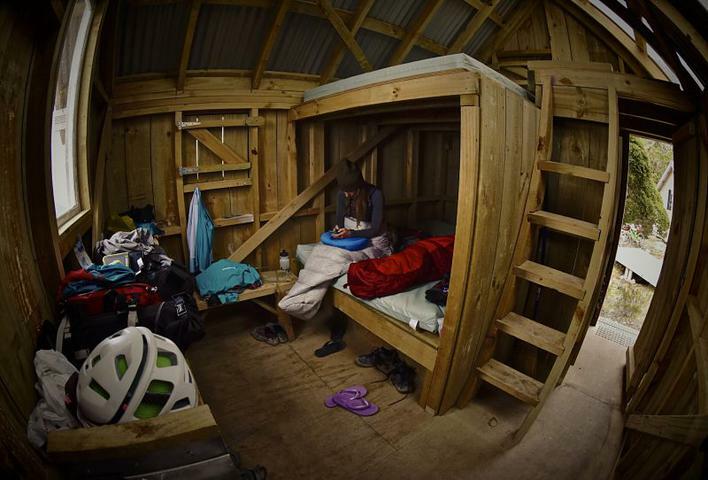 Accommodation on the Old Ghost Road consists of comfortable, well insulated backcountry huts and rustic summer sleepouts for those looking for some privacy. All huts are equipped with mattresses, gas cookers, and cooking equipment. Carparking is available at both the Lyell and Seddonville trail heads. • To make a booking cancellation or amendment, please email info@oldghostroad.org.nz with your booking reference number, name and a clear description of what change(s) you wish to make. Cancellation and/or amendment requests must be made by the person who made the initial booking. • Cancellations (whether in part or full) notified more than 21 days prior to the date of your booking arrival (i.e. the start of your trip) are eligible for an 80% refund (of the cancelled portion). • Cancellations (whether in part or full) notified more than 3 days (and less than 21 days) prior to 12 noon on the date of your booking arrival (i.e. the start of your trip) are eligible for a 50% refund (of the cancelled portion). • Cancellations (whether in part or full) notified less than 3 days prior to 12 noon on the date of your arrival (i.e. the start of your trip) are ineligible for any refund (i.e. 100% forfeiture of the cancelled portion). • No-shows or cancellations made after 12 noon on the date of your arrival are ineligible for any refund (i.e. 100% forfeiture of the cancelled portion). • Amendments (e.g. changes to booking dates and/or accommodation type) notified more than 21 days prior to the date of your booking arrival (i.e. the start of your trip) will not be subject to an amendment fee. • Amendments (e.g. changes to booking dates and/or accommodation type) notified more than 3 days (and less than 21 days) prior to the date of your booking arrival (i.e. the start of your trip) will be subject to a $30 amendment fee. • Amendments (e.g. changes to booking dates and/or accommodation type) notified less than 3 days prior to 12 noon on the date of your booking arrival (i.e. the start of your trip) will be subject to a $50 amendment fee. • Amendments (e.g. changes to booking dates and/or accommodation type) notified after 12 noon on the date of your arrival (i.e. the start of your trip) will be treated as cancellations and will be subject to new booking costs. 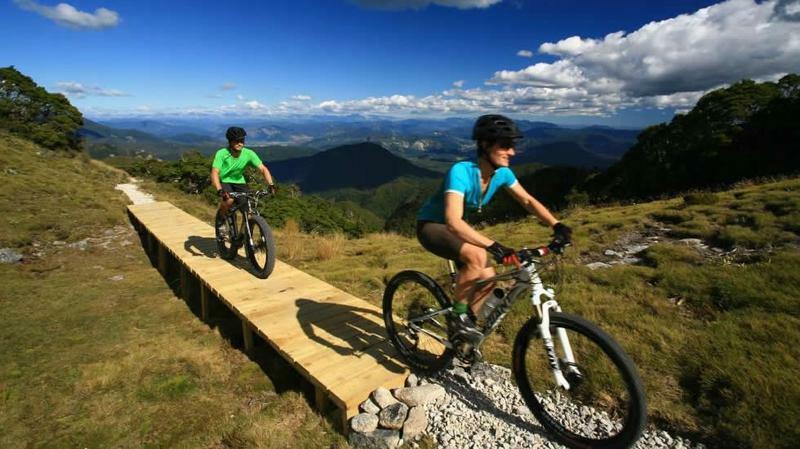 • Access and use of the trail is subject to the state of the trail. Similarly, access to and use of facilities/structures along the trail (including accommodation) is subject to the state of the facilities/structures and subject to the state of the trail giving access to the facilities/structures. It is possible something may occur that, in our discretion, prevents you from using the trail or any facilities/structures on the trail (including accommodation), for example (without limitation), occurrence of weather or other forces of nature including fire or earthquake, action or inaction by any government agency, or significant damage or loss of any track section(s) or facility/structure (including accommodation) (Unforeseen Event). 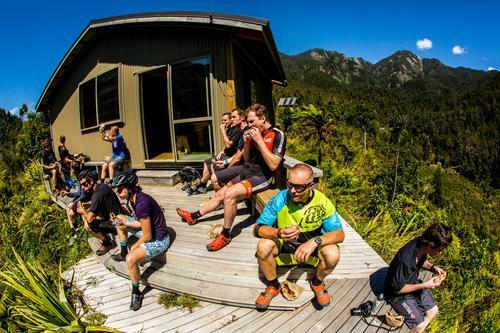 • If, in our discretion, an Unforeseen Event occurs, you acknowledge that you will not have access and use of the affected trail and/or facilities/structures (including accommodation) and that we will have to cancel any bookings you have made. In the case of an Unforeseen Event, our standard cancellation policies will not apply in these circumstances and you will not be entitled to any refund. We may allow you to transfer any booking you have made to another date(s) when the Unforeseen Event no longer exists. However, we have no obligation to do so.